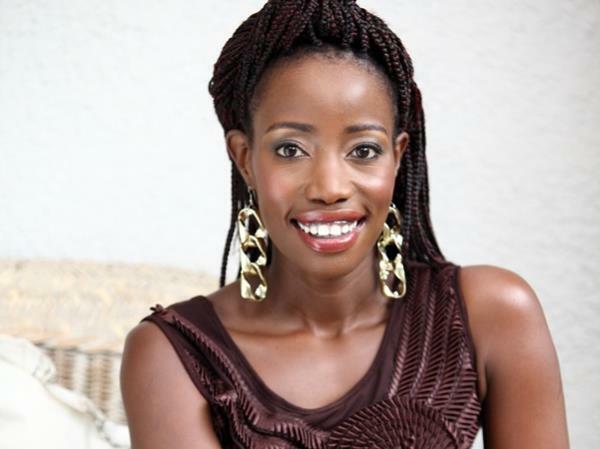 Two months after she was arrested in Johannesburg for allegedly stealing a pack of panado tablets from Checkers, Generations actress Maggie Benedict finally speaks out. The actress took to her Facebook page to make a statement about her legal woes. I, UNEQUIVOCALLY, DID NOT STEAL HEADACHE TABLETS FROM CHECKERS. I am innocent of this alleged crime and there was no basis for the arrest. Every item in my possession was paid for including the tablets I’d purchased weeks earlier that were still unopened. It’s interesting that while I was there, another customer’s packages set off the security system and she was allowed to go without a search. I could not provide a receipt because I’m blessed to have R17.49c not be an expenditure I need to keep track of. Checkers could not provide proof either as the camera covering the relevant aisle didn’t work. It still wasn’t working when we gathered to view footage on the 13th February 2014. Neither party has conclusive evidence of the alleged crime. I am innocent of this alleged crime and there was no basis for the arrest. As the matter currently stands, the State has offered Diversion. That means in principal that you admit to the allegations against you, look appropriately remorseful and the whole thing goes away. This would be the easiest and most cost effective manner in which to get this matter to finality. So basically it’s a lie that gets me out of this. I’m not sleeping as it is, I don’t see lying to an officer of the law remedying that. I declined the offer. I am advised by my legal representative, Mr Jonathan Kaiser of O’Connell Attorneys, that often when a crime is based upon loss of such nominal value and the case is heavily reliant on circumstantial evidence, the State will dismiss it. Checkers can intervene and elect not to proceed with the further participation of the prosecution. Neither has happened. All calls by my attorney to Checkers have to date been met with a noncommittal ‘We’re still trying to find someone to appoint to the matter’ response. I guess it is far easier to Make An Example Of That Actress than it is to admit that perhaps, just perhaps, Checkers’ Anti-Theft machines and cameras might need a service. I am appalled that this ill-handled misunderstanding requires not a diplomatic conversation to resolve, but rather, a piece of my character. Whatever happens next I wanted to write this statement to correct the stories out there sullying my name and present my side of events. To every woman who carries her life in her handbag like I do, open everything in it RIGHT NOW! Don’t wait until you need that item to lift the tab, tear the perforated seal or pop the blister pack. That unopened snack bar you keep for emergencies might cost you far more than the price on the shelf. I'm a 54 year old woman looking to meet men between the ages of 53 and 60.